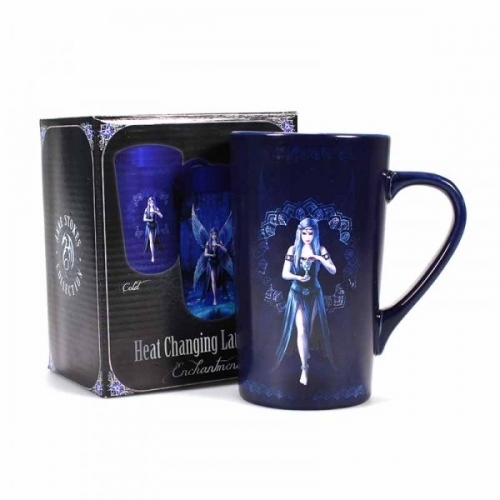 This Anne Stokes heat changing latte mug is sure to cast a magic spell over your morning brew. Cold, the mug shows Anne Stokes' "Enchantment" design on the front, featuring a faery with blue and black hair and clothing in front of an intricate mandala design. 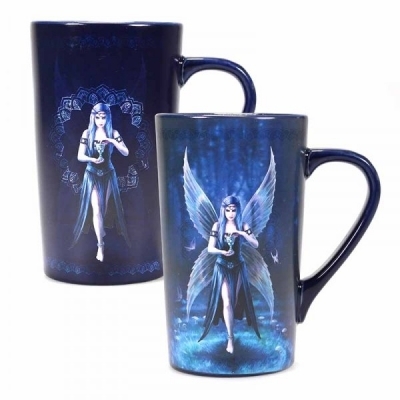 When hot liquid is poured in, the mug transforms to reveal her wings and a magical blue forest background with a mushroom ring in which she is standing. The back shows a pentagram symbol with a crescent moon either side on the same beautiful blue background. 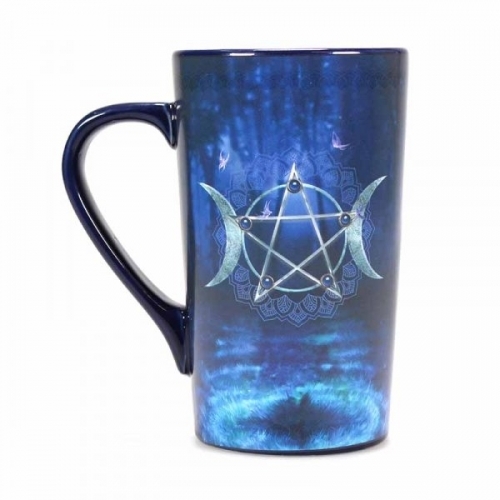 Once the drink is finished the mug returns to its original state as it cools.